This year's International Society for Technology in Education conference and exposition, taking place June 26-29, gives you the opportunity to attend 1,164 sessions and meet with 625 companies. That's a lot of ground to cover in a mere four days! To help you make the most of your time at the show, we've rounded up this ISTE highlight tour for your visit to Denver. This article is the perfect place to learn about sessions and special events at ISTE. If you are attending, be sure to stop by and see the ActivEd team in the Startup Pavilion, or join us at our Walkup! 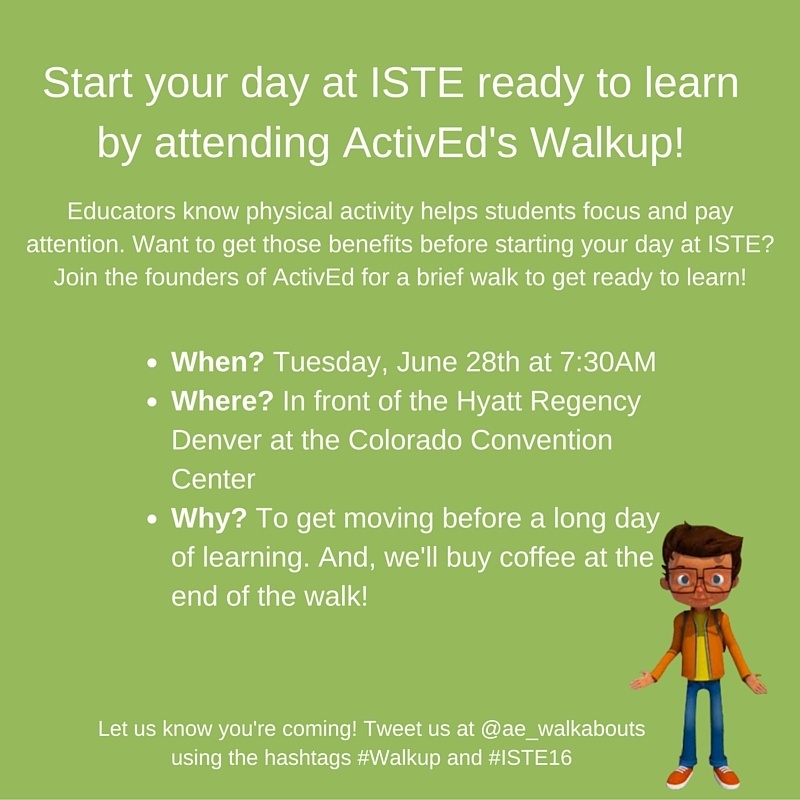 Join Us for an #ISTE16 #Walkup! Want to start off your day at ISTE ready to learn? Join ActivEd for our first Walkup! What's a Walkup? A Walkup is a walk with like-minded educators who know being active helps people learn better. 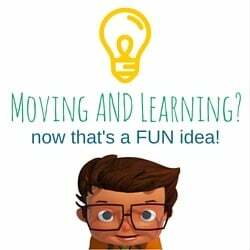 If you want to know the specifics about why activity is linked to learning, you can chat with our founder, Dr. Julian Reed, about the science behind kinesthetic learning. Why? To get moving before a long day of learning. And, we'll buy coffee at the end of the walk! Want to share the invite? Pass this along to your team. 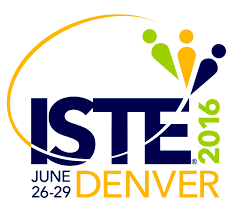 There's a lot to see and do at ISTE 2016 in Denver. We have a favorite poster session to recommend! Our founder, Dr. Julian Reed, will be presenting with St. Vrain, Colorado kindergarten teacher Suzannah Evans on the difference movement can make in the classroom. Heading to #ISTE16? So Are We! If you'll be at the International Society for Technology in Education (ISTE) conference, look for ActivEd in the Startup Pavilion (Booth #1311). We will be joined by other unique startups in the EdTech space. Our founders, Dr. Julian Reed and Matt Ferebee, will be there waiting to learn more about how you are integrating moment into the classroom. While you learn about active learning and Walkabouts, you can also register to win a professional development day for your district with Dr. Julian Reed. Dr. Reed is an educator, a researcher, and an author of many scholarly articles and a widely used movement-based curriculum and training text published by Nova Science titled Active Education. He is a professor at Furman University in Greenville, SC, and also consults with school districts and educational organizations across the United States. Dr. Reed began developing movement-related lessons and workshops over a decade ago when the federal No Child Left Behind Act (NCLB) of 2001 began decreasing the amount of time children spent doing physical activity at school. We look forward to seeing you at ISTE! If you'd like to learn more about Walkabouts, but can't make it to ISTE, request more information from our team!